EXTINCTION REBELLION -WHEN YOU DENY GENUINE CLIMATE SCIENCE DEBATE! Next Monday, April 15 a group of hard left, anti-democratic, violent, drug-fuelled narcissistic revolutionaries will take to the streets in a coordinated plan to block as much social and commercial traffic as possible. The ultimate aim according to UK organiser Roger Hallam is to cause food shortages and “once that happens the regime will fall”. There are few clues as to the funding of XR but it appeared suddenly late last year in many European countries and elsewhere utilising the usual small cadres of disaffected revolutionary activists. 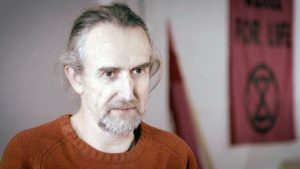 In the UK the main leaders seem to be Roger Hallam, a failed organic carrot farmer, who came to London to “take out the system” and Gail Bradbrook, a self-confessed pagan spiritualist – according to a recent helpful profile on Radio 4 – and a keen fan of “psychedelics-aided magical ceremonies” for advancing the movement. Both Hallam and Bradbrook are longtime activists and seem to be behind the connected hard left groups Rising Up and the briefly notorious Occupy. Curiously climate change has only recently been mentioned in any detail by these groups. XR demands that carbon emissions are reduced to zero by 2025 but this is a silly notion that is deliberately impractical. Negotiation is not the name of the game being played here. 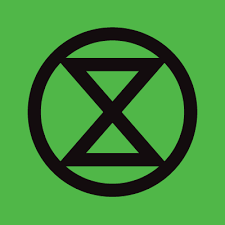 The obvious pretence that the political agenda has anything to do with climate change is exposed by another XR activist Stuart Basden who wrote that “Extinction Rebellion isn’t about the climate”. For Basden, climate breakdown is a symptom of an infected toxic system based on white supremacy, patriarchy, Eurocentrism, hetero-sexism/heteronormativity and class hierarchy. One can’t help noting that this listing would keep some of our more useless seats of unlearning going for years in “Studies” courses. Mr Hallam has been chattering away of late with frequent why-are-you-so-very-wonderful TV appearances on Russia Today (RT). Organic carrot farming doesn’t seem to have given him much of a grasp of his new found love of climate science. He suggests that once you get above a rise of +2 Centigrade from 1750 “then it seems like it is highly problematical to grow grains at scale”. He continues that if you can’t “store” grains “you are looking at losing the basis of civilisation and what that means is that there is no food and that means mass starvation”. Hallam regards street blockages as the “pathway to the revolution”. His view is that the optimum point for such protest is two or three steps above “decent civil disobedience”. In his view, disruption and property damage is “good stuff”. Furthermore, Hallam has spoken about street sacrifice and disruption, explaining that “sacrifice is losing liberty and ultimately die for the cause and that brings more people out into the street”. Putting Ms Perry in charge of energy let alone education and law and order might seem rash but she is only touting a typical libtard reaction. On the day that the grown-ups in the US Senate threw out Alexandria Ocasio-Cortez’s ludicrous Green New Deal by 57 votes to 0, the BBC chose to ignore the story reporting instead that four Oxfordshire school children were doing something or other for climate change! This despite BBC reporter Matt McGrath writing just a month before that the deal “deliberately sets out to echo the past glories of FDR”. For some inexplicable reason, he failed to report that the green plan was at times laughed out of the Senate and it is now politically dead. This type of reporting censorship has played right into the hands of extreme activists like Extinction Rebellion. In 2006 the BBC gathered a group of like-minded elite greenies together and in secret session decided to limit any reporting of science that suggested global warming (as it was known in those days) was not caused predominately by CO2 released by fossil fuel. Under the current news editor Fran Unsworth that diktat has been rigidly enforced. No contrarian view about the controversial theory of man-made climate change is allowed, despite considerable evidence that natural variability is the prime cause of changes in climate. Hundreds of distinguished scientists are left out in the cold while BBC hacks like McGrath and Roger Harrabin sub the latest preposterous climate scare stories from often laughable dubious sources. Lack of a proper debate about climate change means that it has been hijacked by the hard left, seeking to capture the commanding heights of both local and world economies. And of course the most useful of idiots are the free-basing loons looking for something to do in a world whose social and economic structures they regard with unconcealed contempt. US intelligence has long believed that Russia is implicated in attempts to demonise oil and gas so that it can drive up the price of its own energy reserves. Few countries delight Russia more than Germany where 60 years of relentless green propaganda has led to a ban on fracking gas. There have been huge increases in the cost of electricity to pay enormous subsidies for the high level of unreliable and intermittent solar and wind power. The cherry on the Russian cake is a gas pipeline from Russia, no doubt with love. 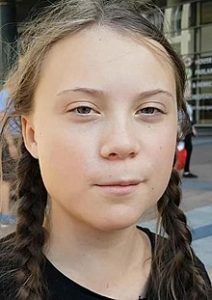 The next time a Conservative (sic) Party government minister decides to fantasise about her lost youth and go on a kids demo, she might care to do a little homework to see what actually lies behind the cultivated activist façade. WHERE HAVE ALL THE FLOWERS (AND CHILDREN) GONE?